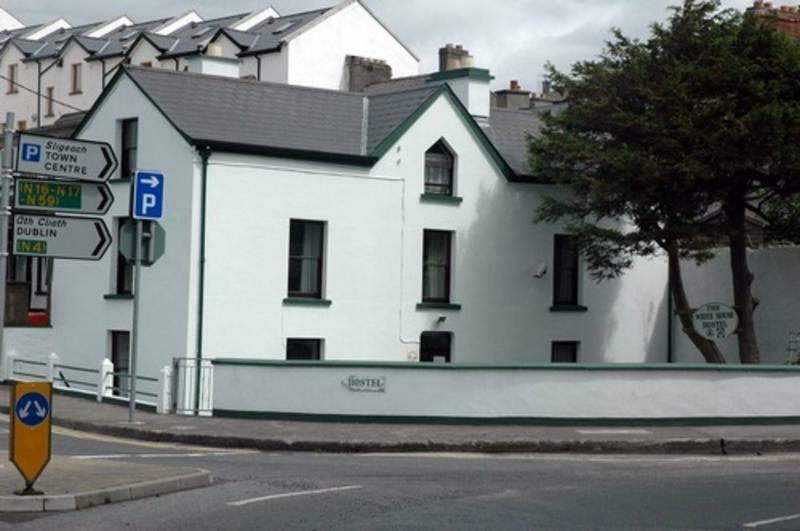 Established as a Holiday Hostel in 1986, The "White House Hostel" is located within 300 metres of Sligo town centre, and overlooks the river Garavogue estuary at Markievicz Road. Its central location is an ideal starting point for a visit to Sligo Museum, Neiland Art Centre, Hawks Well Theatre, and the W.B. Yeats building all within walking distance. Sligo is know as the Land of Hearts Desire, is sinomenus with the writings of the noble prize winning poet W.B. Yeats. Local place names such as Lisadell, Glencar, Drumcliffe and Lough Gill (Innisfree) are to be seen in his poetry. With its ever changing landscape Sligo has variety of outdoor pursuits to offer. From river walks and boat trips on Lough Gill, to the mythalitic burial ground remains at Carramore (or a leisurely climb to Queen Mauve's cairn, a top Knocknarea mountain. There is so much to do in Sligo , come and see for yourself. 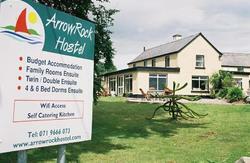 We have 31 beds (dormitories) a number of en suite rooms, kitchen, lounge day room and sun lounge. Overnight stay costs are from €14 per person. Sligo rail & bus station is a ten minute walk. Sligo Airport at Strandhill is 6km from Sligo. Please Note: The reception is open from 8am to 2pm and 5pm to 10pm. When you are out of the car park turn left and continue straight on for 10 minutes. Cross the bridge and turn left. Walk along the river for 200 metres. We are on the right. Opposite to the river.